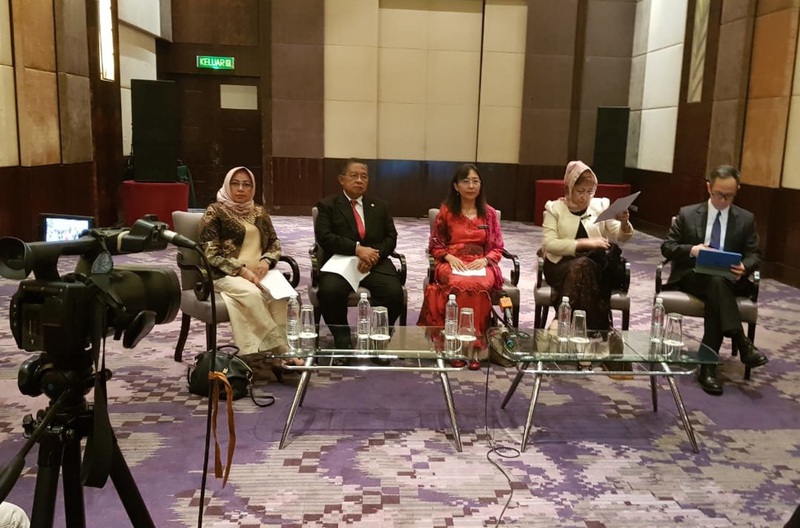 Menko Perekonomian Darmin Nasution bersama Menteri Perindustrian Primer Malaysia Teresa Kok menggelar jumpa pers usai mengenai hasil the 5th Ministerial Meeting of the Council of Palm Oil Producing Countries (CPOPC) di Putrajaya, Malaysia, Kamis (8/11/2018). The Council of Palm Oil Producing Countries (CPOPC) has accepted Colombia, Latin America’s largest palm oil producer and the world’s fourth, as its new member. The involvement of Colombia is crucial to strengthen CPOPC as a whole and provides a strategic alliance among palm oil producing countries in promoting the interests of palm oil in the global economy. CPOPC made the decision at the 5th Ministerial Meeting of Council of Palm Oil Producing Countries in Putrajaya, Malaysia, Thursday (8/11/2018). 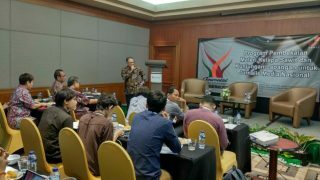 Attendees at the meeting included Darmin Nasution, Coordinating Minister for Economic Affairs, Indonesia and Teresa Kok, Minister of Primary Industries, Malaysia. 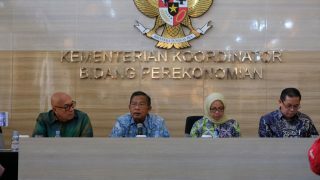 On the joint press conference, both Ministers emphasized that CPOPC will continue to expand its membership by inviting other key palm oil producing countries. The CPOPC is an intergovernmental palm oil council set up by the world’s two largest CPO producers and exporters — Indonesia and Malaysia. It aims to control the global CPO supply, stabilise palm oil prices, promote sustainable practices in the palm oil industry, and enhance the welfare of oil palm smallholders. The ministerial meeting also agreed that Malaysia will assume CPOPC Chairmanship from 1 January 2019 for a period of two years. Minister Teresa Kok wishes to acknowledge and thank Coordinating Minister Darmin Nasution for his Chairmanship and leadership role. On another note, both ministers said that Malaysia and Indonesia would not participate in the EU’s Indirect Land Use Change (ILUC) Workshop in Brussels in the coming week. They considered that ILUC concept would discriminate against palm oil in the EU market. The EU would likely to use the ILUC’s land use criteria to justify phasing out or restricting palm oil in the EU’s Renewable Energy Directive II (REDII) mandate. The meeting also highlighted the important role of palm oil in global economy. Poverty alleviation and social well-being of these smallholders are priority for palm oil producing countries. Both Ministers emphasized the need to increase productivity and income of the smallholders through further enhancement of Good Agricultural Practices (GAP) and accelerated replanting programs. Recognizing the need to encourage greater synergy between the palm oil Industries of the member countries, both ministers agreed to convene of the Business and Smallholders Forum in 2019. 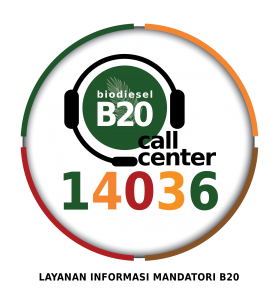 The meeting also emphasized the need to consolidate and increase biodiesel mandatory program in respective member countries, as well as to encourage the use of palm biodiesel in other prospective consumer countries. On the meeting, Darmin and Teresa expressed grave concerns over the significant anti-palm oil campaign triggered through various non-governmental organizations and even regularly supported by legislative processes in some importing countries that discriminated palm oil.